New updates, information, plans, etc. 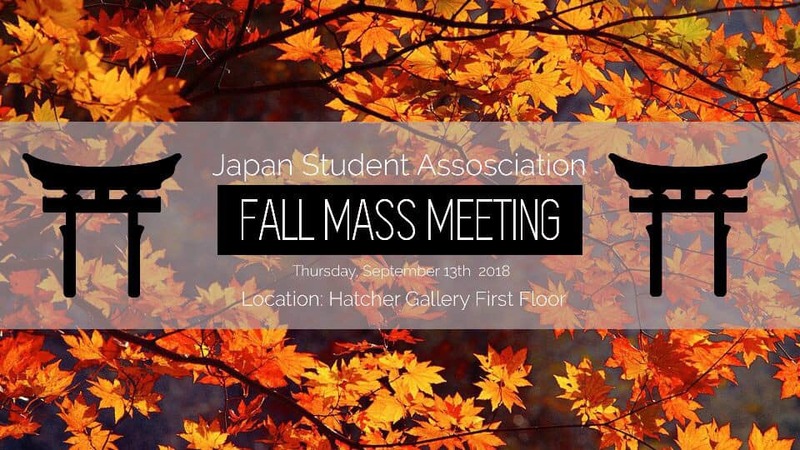 Come to our fall mass meeting to meet current members, learn about our fun events during the year, and purchase cool JSA merchandise and apparel! 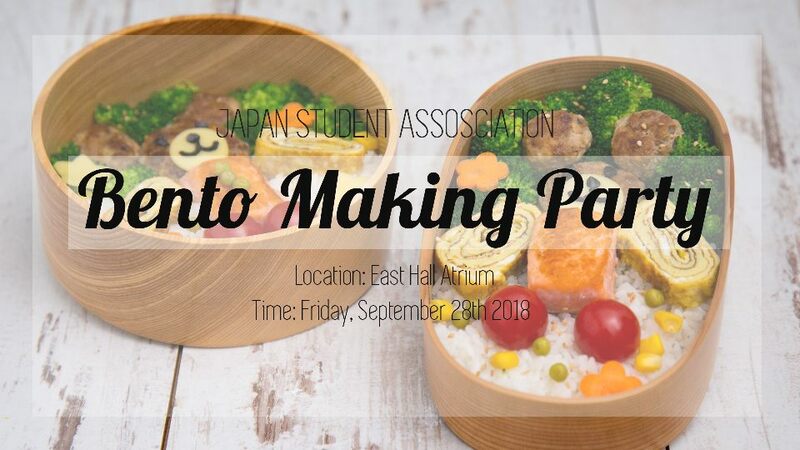 Our first food event of thhis year! 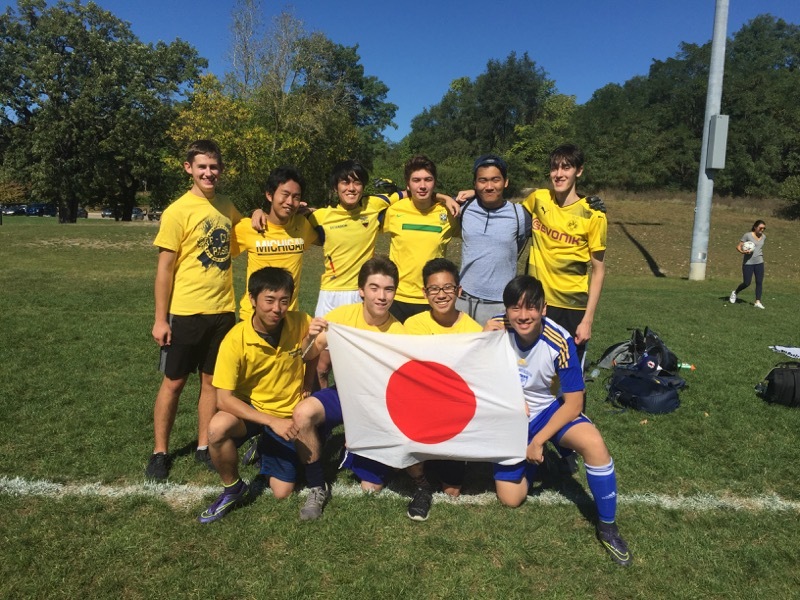 Come and get to know members while designing your own Japanese-style obento lunchboxes. Date: Friday, September 28th. Location: East Hall Math Atrium. This is a popular event, so make sure to check for details and RSVP to ensure a spot!